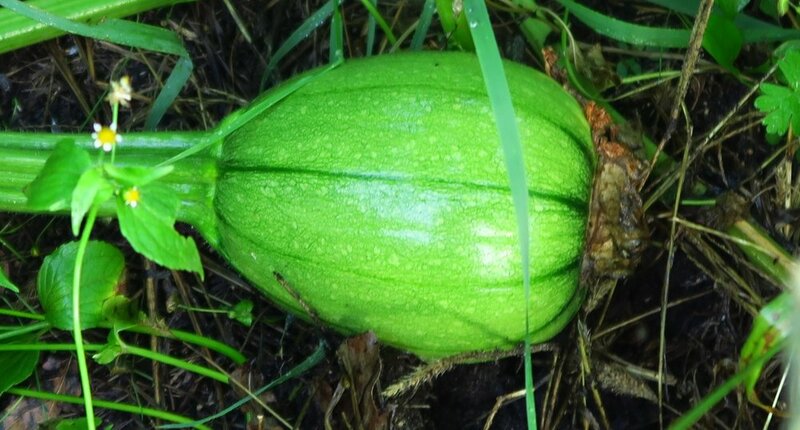 While I was consumed with the wedding quilt, my pumpkins were growing voraciously! I am so pleased! I can't walk easily among them these days as the vines are everywhere! But I just love seeing how many I have and watching them get bigger and bigger. Some of them start out orange, and some start out green. I do have some white ones as well. I've seen two in among the leaves. I can't walk over there easily and check out the rest! Here are some of my favorite pumpkin shots! It is so relaxing for me to walk among them and just see them. I could just sit among them for hours. But I don't, obviously! I think other people would think I'm nuts! 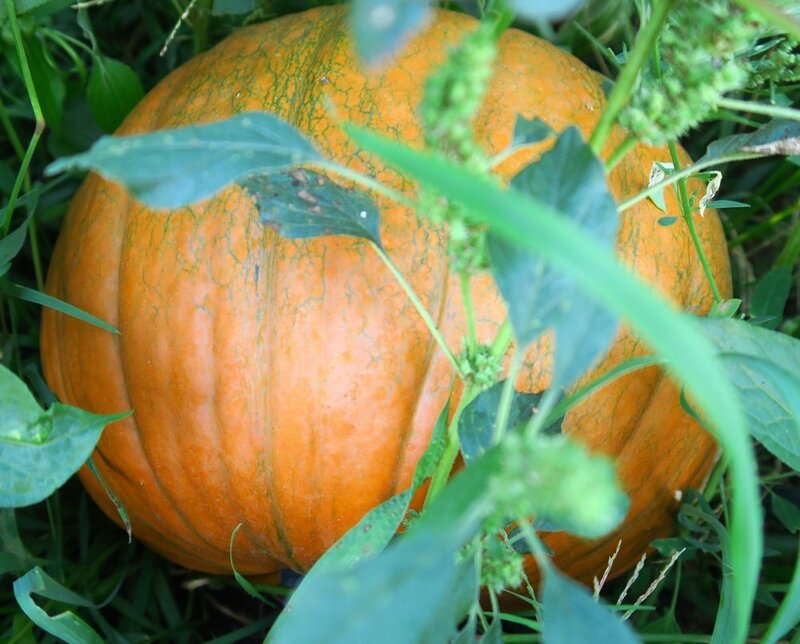 I have several different types of pumpkins here -from some typical jack o lantern types, Big Max, some white ones and that one with the rough skin is different yet. I guess we'll see when times come to harvest! None of them are super big - around 30 lbs is the biggest there is out there at this time. Never fear - tomorrow I'm planning on starting to show you the girls' quilts - the ones I made last week. I'll start with the Blue Big Cats one - I'm still in recovery mode and wasn't up to writing a pattern today (Thursday)! Have a great day and enjoy seeing these pumpkins! 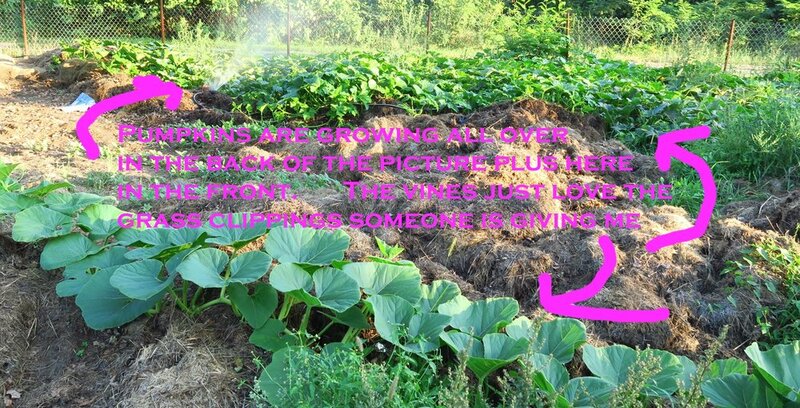 I found a time lapse youtube video and wanted to show you - so here it is - just in case you've not seen pumpkins grow before. I think this is the coolest thing I've seen in a long, long time!